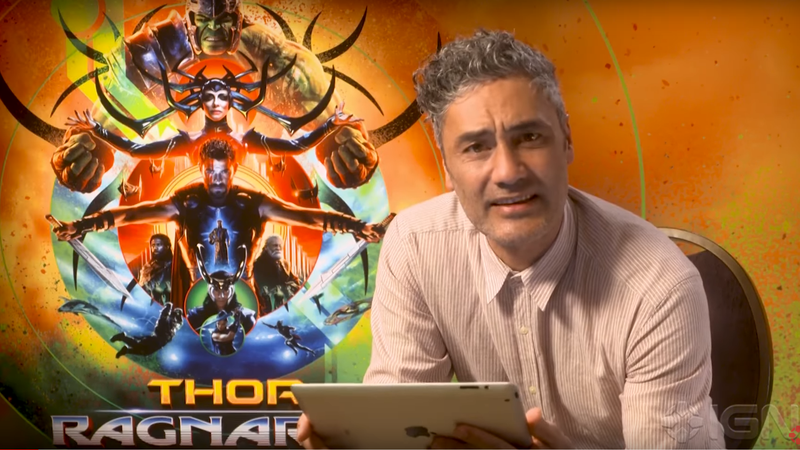 Cementing his role as one of the most fun, charismatic directors working right now, Taika Waititi took to YouTube to respond to some absurd, combative internet comments. After watching Waititi for a couple of minutes, it’s easy to see where Thor: Ragnarok’s anarchic humor comes from. This video comes from IGN, who brought the New Zealand native into their studios to check out their notorious comment threads. The result is goofy and wholesome, with Waititi holding court on his native country’s penchant for re-gifting, bad internet handles, and briefly riffing on Akira (which is a nice tease for anyone excited by the news that he might be in talks to direct an adaptation of the manga). There’s no new information about Ragnarok, which is out in theaters November 2nd, but that doesn’t keep this from being a blast to watch. Waititi is a treasure, and I hope he stays around for a long time. Watch below.